The tape dispenser that is truly indispensible! Over use of tape in a busy dispatch room quickly adds up. 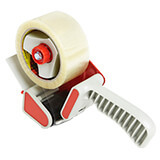 This electronic pressure sensitive tape dispenser will give your operator just the amount of tape needed to do the job properly and will start saving you money the day you take it out of the box. Just program in the length you require and let your dispenser do the rest! 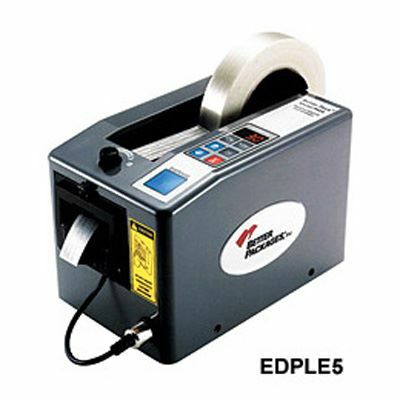 This electronic dispenser can be used with various pressure sensitive tapes, including masking tape, vinyl, cross weave and filament tape, making it ideal for sub assembly areas and small package sealing applications. It can hold rolls of tape from 6mm to 50mm wide. 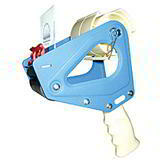 Take the human error out of tape dispensing! Same working day dispatch within 2 hours! Generous quantity discounts, buy more, save more!